4 Bedrooms, 3 Reception Rooms, Fitted Kitchen, Utility, Downstairs Cloakroom, Family Bathroom, En-Suite Shower Room, Driveway, Garage, Rear Gardens, Fully Double Glazed, Gas Central Heating. 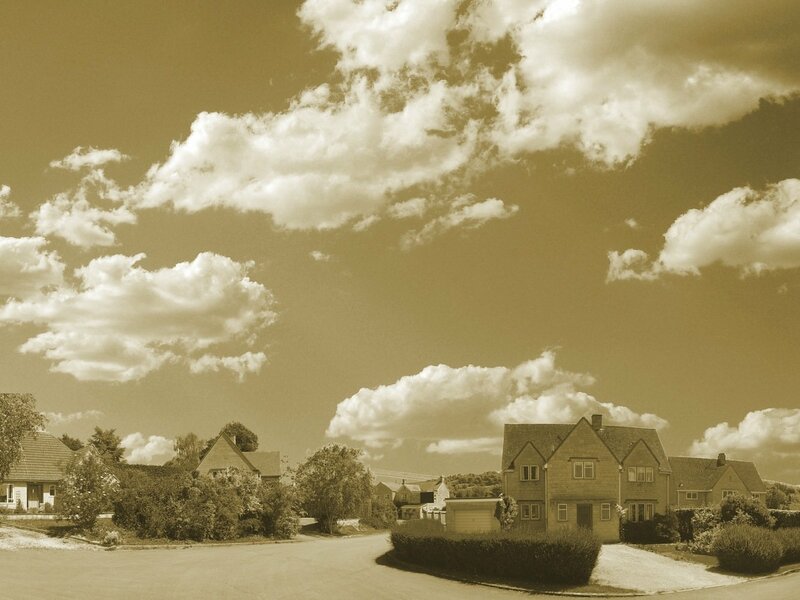 THE PERFRECT PROPERTY TO CALL YOUR DREAM FAMILY HOME! 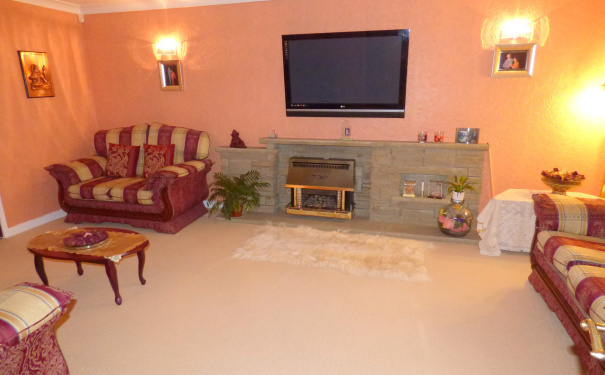 This SPACIOUS four-bedroom DETACHED house has all of the requirements for you and your family. Benefitting from THREE RECEPTION ROOMS, UTILITY, CLOAKROOM, EN-SUITE SHOWER ROOM, DRIVEWAY with AMPLE SPACE for parking, GARAGE and a LARGE rear Garden you will not be short on space! The property is close to a range of local amenities including local shops and restaurants/cafes which can be found in Bramhall or in Great Moor. Local schools include Nevill Road infant and Junior School and Bramhall High School. Transport links can be found via Davenport and Woodsmoor railway station and the A6 and M60 motorway. Manchester Airport is also close by offering international flights. 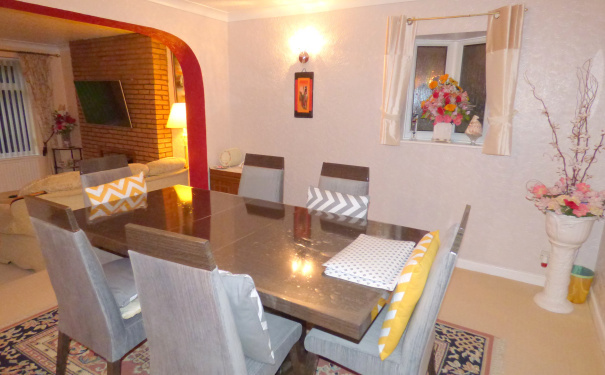 This is sure to be your perfect home so arrange a viewing without further delay! Window to front and double door to Hallway. Fitted carpet, stairs with storage cupboard underneath and door to Garage, Living Room and Kitchen. 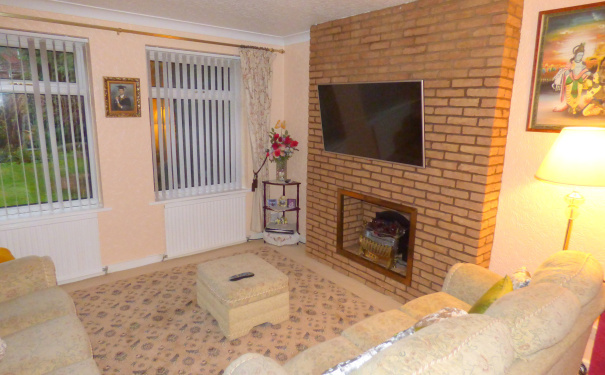 Window to front, fitted carpet fireplace and double doors to Dining Room. Fitted with a range of base and eye level units with worktop space over, fitted oven, separate hob, sink with mixer tap and drainer, space for kitchen appliance, tiled flooring, partially tiled walls, window to rear and doors to Utility and Dining Room. Fitted with a range of base and eye level units with worktop space over, sink with mixer tap and drainer to side, tiled walls and flooring, window to rear and doors to Cloakroom and rear Garden. Fitted with wash hand basin and low-level WC, tiled walls and flooring and window to side. 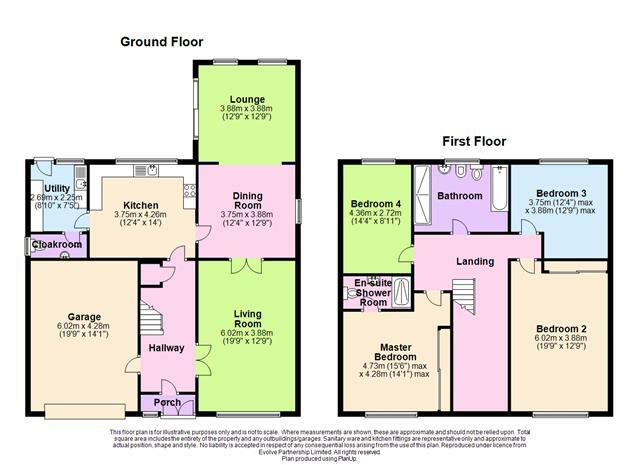 Window to side, fitted carpet, open plan to Lounge and door to Kitchen and Living Room. Two windows to rear, fitted carpet, fireplace, open plan to Dining Room and patio door to rear Garden. Up and over door and door to Hallway. 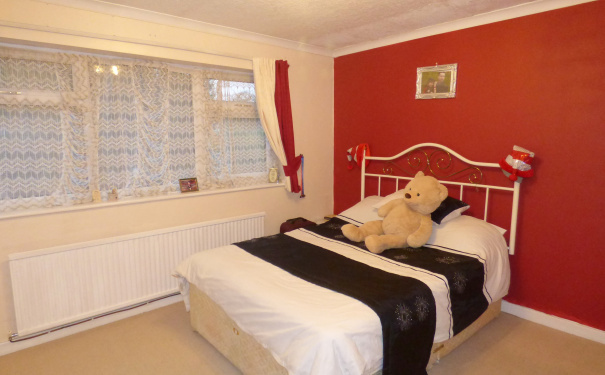 Fitted carpet and doors to all Bedrooms and Bathroom. Window to front, fitted carpet, storage wardrobe and door to En-Suite Shower Room. Fitted with enclosed shower cubicle with sliding glass screen, wash hand basin set in vanity unit and low-level WC, tiled walls and flooring. Window to front, fitted carpet and storage wardrobe. 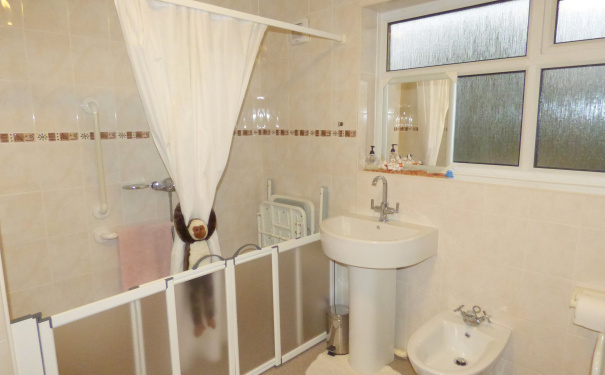 Fitted with bath, separate walk in shower area with screen, wash hand basin, low-level WC, bidet, tiled walls, vinyl flooring and window to rear.